The wicked truly don’t rest. Why would they?? They delight in chaos and torment. As the multi-part epic begins the third act, the pieces on the board shift dramatically. The ante is overblown. The straits are beyond dire. Unpredictability is the order du jour. Geoff Johns peppers more personal interactions amidst the sprawling action. 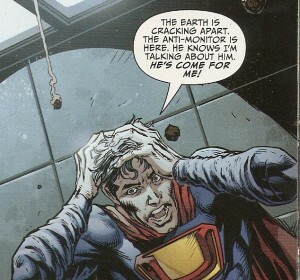 DC’s flagship team of super-stars merit these scenes. As I had done with the previous review, I’ll examine the events in proper order with no disrespect towards the pacing. It’s a much simpler analysis. The Emerald Gladiator tries to get the Dark Knight to pry himself from the Mobius Chair but the Bat-God ain’t budging!! He’s content to perch on his acquisition. 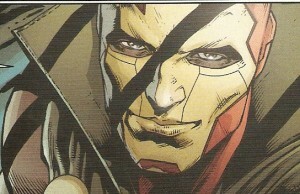 GL reminds the readers of his ordeal in the eponymous one-shot. 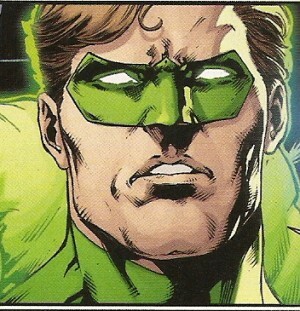 Hal Jordan really is the epitome of willpower. Apparently, Bruce Wayne shrugs that. Their presence at Ace Chemicals is to look back at the Joker’s origins. The process hasn’t even begun since Bat-Tron senses a major disturbance. The Apokaliptian-imbued Kryptonian wants to settle the score with his former paramour. Given his corrupted state, he really doesn’t pull any punches. 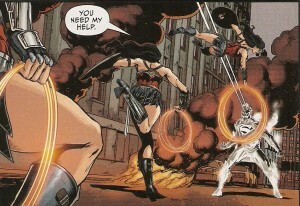 Diana is far from a damsel-in-distress. Her battle-honed skills are tempered with her peaceful prime directive. She manages to briefly wound Superman but uses the Lasso of Truth to have him break free of the grisly grip. He realizes that despite the transformation he is Clark Kent at his core. Bats & GL arrive after the fact. 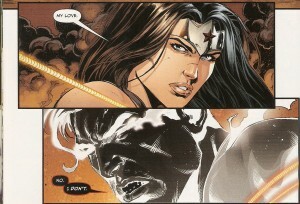 Wonder Woman reassures Hal that Supes has been sobered. Batman is the bearer of bad news: the negatively-charged energy within the Last Son of Krypton is taking away his life force. The break-in at Belle Reve begins beautifully. Mr. Miracle has done Cyborg a solid by taking care of the alarms, the cameras, and the sensors. 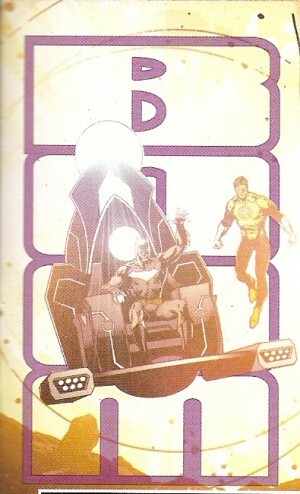 The two men and Power Ring are in Level Zero heading towards Superwoman and Ultraman’s heavily maximum security cells. Barda is topside dealing with the guards. Mr. Miracle is taken aback when he spots Ultraman. The alternate version of the Man of Steel is a weak, whimpering, withered wimp. [Say that five times fast ;-)] U-Man has been severely depowered and is extremely terrified of the Anti-Monitor. In fact, he quivers to the extreme when he feels rumblings made by that entity. Jessica Cruz warns Cyborg that her power ring is worked up big time as they approach Superwoman’s cramped quarters. 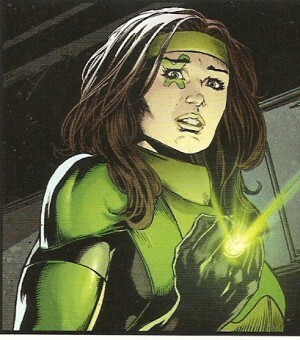 She is overpowered by the bright green band. 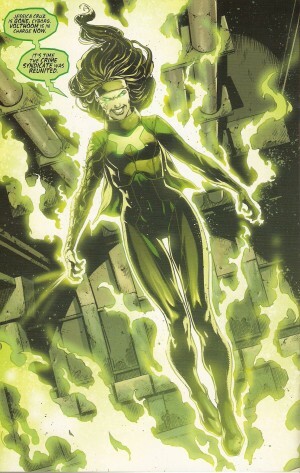 Volthoom possesses her body, fed up with his supposed submission. This does not bode well for her teammate. Vic doesn’t lose face. He latches on to her arm and reconnects to her ring. Grail engages in a bloodletting ritual. She tells her mother that her latest maneuver will make her most proud. 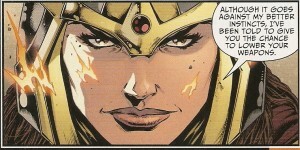 The Daughter of Darkseid has her sights set on Steve Trevor. The reason? He is the first man to have set foot on Paradise Island!! One panel is ambiguous. It is either Grail unleashing her evil energies or it is Steve overtaken by her magic. Either way, Mobius the Anti-Monitor resurfaces!!! The $#!+ has hit the fan. 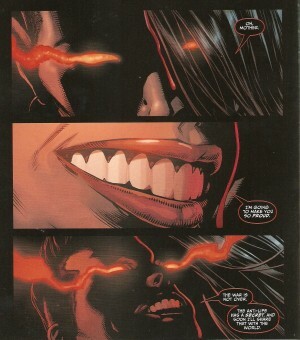 Superwoman uses her heat vision to blast the New Genesians. Fortunately, Scot and Barda are made of stronger stuff. She wants them dead when a voice demands she pull back. 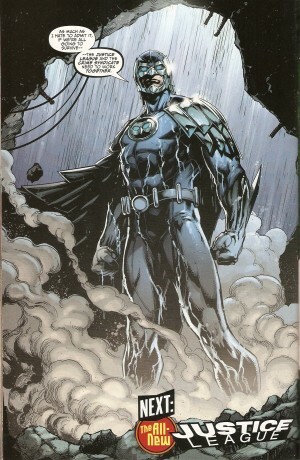 Owlman enters the fray!! 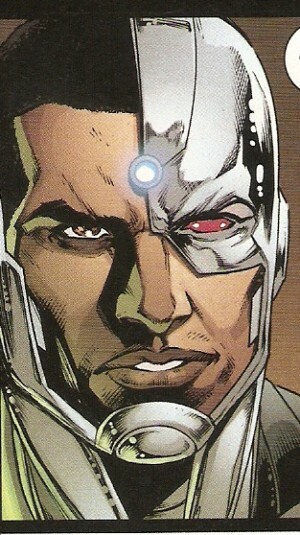 He realizes that an alliance between his team and the JL are a necessary evil [natch!] 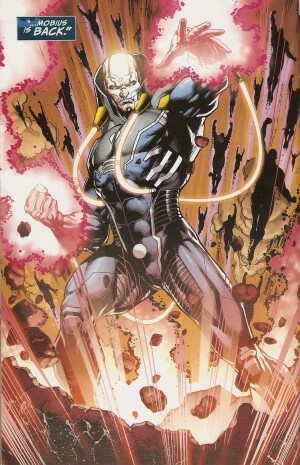 to eliminate the Anti-Monitor. I despise using clichés but I can’t think of anything else to say. Mr. Johns surpasses every single issue. He has outdone himself. This man is on a seven-game winning streak! 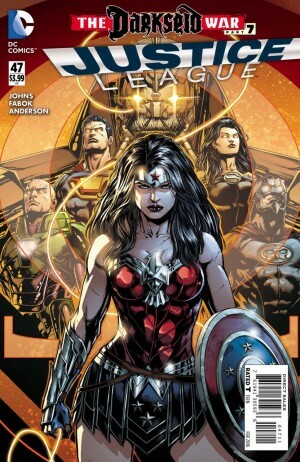 I didn’t really pay much attention to the cover aside from the gorgeous rendition of Wonder Woman smack dab in the middle. It matters little since covers are sometimes deceiving. Logically, I should have expected to see Owlman but his last-minute arrival dropped my jaw and classifies as a crazy cliffhanger!! 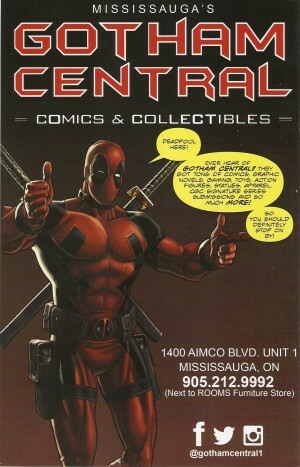 Being biased, I sometimes critique the lack of ‘screen time’ among a myriad of characters. The technique trumps in this modern saga. No one person is accidental in his/her involvement. The smallest moments have the biggest pay-offs. 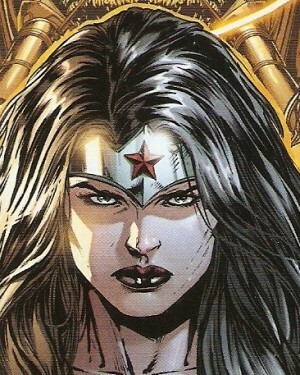 My curiosity is at critical level with Steve Trevor’s importance for Grail (aside from his gig at A.R.G.U.S. and yearning for Diana). Fingers crossed that the Amazons spar with Kalibak and crew 😀 Make that the Female Furies!! Mr. Johns keeps charging forward but he also teases the hell out of us. The biggest lure of all is the dangling carrot of Batman’s obsession with the Joker. This is the second time he had to shift his focus. Also, who are the blacked-out beings behind Mobius?? A combination of the New Gods and the citizens of Apokolips?? 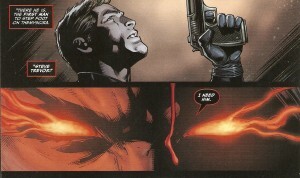 Lastly, I reiterate my point about Steve Trevor. I’m itching to see more of his involvement. I’m displeased that Jessica seems to have been tossed aside and too weak to have vanquished Volmooth. Nevertheless, I’m confident she will triumph and be tougher than ever at the end of this storyline. It’s a pure delight to see Jason Fabok return to these pages after a needed hiatus with the birth of his son. This is not to dismiss Francis Manapul’s superb stand-ins. Mr. Fabok has picked up where he left off. He is the ultimate artist for this series. 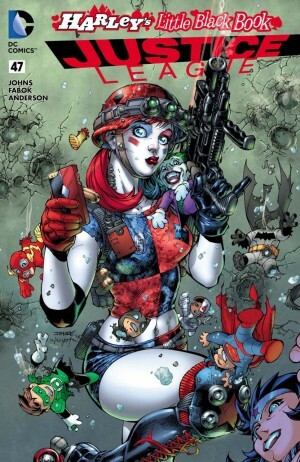 I dare say he is a cut above Jim Lee. Jay is synonymous with the League. I know nothing lasts forever but I can’t picture the JL any other way. We are treated to one double-page spread and four full pages. Three of those have mountain-shaking moments. The first one differs greatly from the other three since it’s a semi-casual chat between Bruce and Hal. Superwoman is super-creepy. It’s rare to say that of a female or envision one in that way. 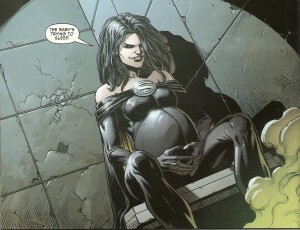 I wouldn’t want her as my mommy K If one were to re-color Owlman, he could easily pass off as the Bat. His battle-ready stance brims with confidence. The two are practically interchangeable. Brad Anderson gives vitality to Jason Fabok’s pencils. He covers the entire colour spectrum. The thick smoke from Ace Chemicals, the dark-mattered Superman, the emerald aura emanating from Power Ring, and best of all: the blood line coming from Grail. Interestingly enough, Mr. Anderson gives the golden lasso a different shine: it’s unmistakably orange when Diana ropes Kal. Rob Leigh gets to throw in at least one BOOM. It was minimal but well-executed. The word balloons between Batman and Superman are indistinct. One has to carefully read their sentences to determine the speaker. It’s great to see green surrounding Volthoom’s words since it fits the character. Superwoman’s narration box is reflective of her outfit. I’m in awe that eight months have already elapsed!! The flurry of occurrences have made each issue an IMAX experience. I’m ecstatic that this issue shipped on time, two days before the New Year J Three chapters remain, as well as a special. I know that the conclusion will not disappoint. How much more can be crammed?? I give this book an 8.5 on the omega threat scale.